Paul Schieman studied piano, organ and oboe at McGill University in Montréal, graduating with a Bachelor of Music degree with distinction in 1978. His principal oboe teachers were Don Hyder, Peter Bauman and Harry Sargous. In 1979 he accepted the position of Assistant Principal Oboe of the Edmonton Symphony Orchestra as well as Organist and Choir Master at St. Andrew's United Church in Edmonton. 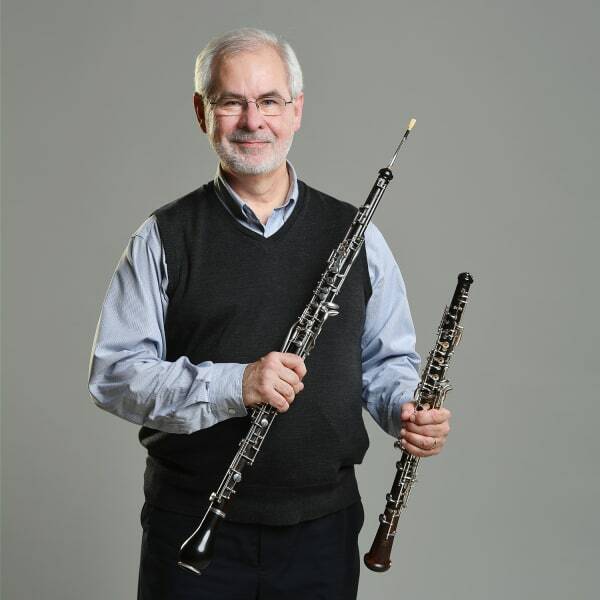 In 1980 he formed the Alberta Baroque Ensemble, an Edmonton based chamber orchestra devoted to performance of 17th and 18th century orchestral music, and has been its Artistic Director and Conductor since its formation. Prior to moving to Edmonton from his hometown of Montréal, Paul performed with the Montréal Symphony Orchestra, Le Studio de Musique Ancienne and the McGill Chamber Orchestra. He also held positions as a church organist and taught the oboe at the McGill Conservatory of Music and Vanier College. On June 6, 2001, Paul was inducted into the City of Edmonton Cultural Hall of Fame. In October, 2002, he was one of several prominent Edmonton arts figures to be awarded a Commemorative Medal for the Golden Jubilee of Queen Elizabeth II, acknowledging Canadians who have made a signifcant contribution to their community. Paul is married to his childhood sweetheart Janet. They have three sons, Johnathan, Christopher and Daniel.